Video Management Servers & Clients for Milestone, Genetec, Network Optix, Axxonsoft, Intelec, EoCortex, MiraSys, ExacqVision and many more. The basis for every camera project. We advise on the correct method of installation and configuration of both the Video Management Server and the Video Management Client. 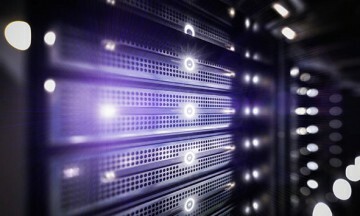 If desired, we install both the VMS and the Server on location with possibly an On-Site service contract linked to it. The use of Video Management Software (VMS) is growing exponentially. This requires a specific VMS Server and / or VMS Client. In accordance with your specific requirements and/or wishes, we deliver the Server and/or Client that are fully tailored to the software you have chosen. Here we calculate processor, memory and storage capacity tailored to the Video Management Software (VMS) that you choose. Contact us for a consultation without obligation. 24/7 monitoring of your hard- and software with associated predictive maintenance. Avoid having to deal with non-functioning cameras or defective ports on the router or switch afterwards. Smart Cloud Monitor software is the ultimate solution for all installers who want to optimize service & support for their customers. Predictive maintenance (as a service) is the keyword for optimal use and certainty of the functioning of your security system. Video Management Software (VMS) Servers and Clients built entirely to size and tailored to the VMS of your choice. All this through the "Built-To-Order" principle. As a result, we deliver systems that seamlessly connect to the various software platforms. 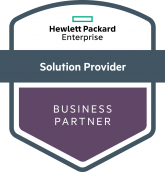 In addition to the "Smart Cloud Security" and "Security For Everything" brands, we are also are an official HPE Solution Provider & Dell Partner. This allows us to realize every project in accordance with your wishes. WSM Technology Netherlands B.V. is, in addition to its expertise in the field of VMS Servers & Clients, a specialized distributor within the IP Surveillance Networking market. With extensive knowledge and know-how of Data Storage within this specific field, we have an extensive range of Switches, Routers and Network equipment. 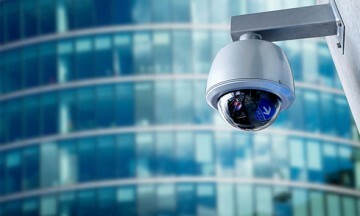 Complexity of data storage within the camera security world is increasing. Knowledge that may not always be available to you as an installer. You can use our Consulting Services especially for this. Hereby we can advise (on request) on location about the correct IP infrastructure with the possibility to outsource the installation and configuration to us. Remote connection in the most secure way is now possible with Smart Cloud Connect, the VPN service from WSM Technology Nederland B.V.
Storing camera security images in the Cloud makes a huge advance. In collaboration with one of the largest software developers of Video Management Software (VMS) we have developed a Cloud platform. Hereby we store the images from your camera 24/7 in the Cloud. Monitor your servers, clients, switches, routers and IP Cameras 24/7 with our Smart Cloud Monitor software. 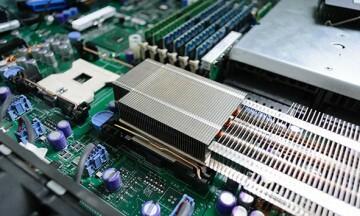 This includes network bandwidth, packet loss, interface errors, HDD and SSD perfomance, RAID controllers and RAID sets.